Setting up a Unix system ready for use with Oracle used to be a bit of a pain. You used to have to go through the Oracle Database Preinstallation Requirements section of the documentation in pain-staking detail looking for every little kernel setting, operating system package and security configuration necessary to ensure that your database was in a supportable configuration. If you were installing products such as ASM, CRS or the more-recent Grid Infrastructure then there would be additional preinstallation requirements sections to crawl through. But the change which really made a difference for me was the creation of the oracle-validated RPM in Oracle Linux. Oracle has always been a great supporter of Linux, since long before most companies considered it an enterprise-class and data-centre-ready operating system. This addition to the DBA kit bag is what makes Oracle Linux my favourite OS for installing the Oracle Database. It’s worth taking some time to understand what oracle-validated is doing to your system – you might be surprised! For example, since version 1.0.0-24 it has been updating your /boot/grub/grub.conf file to disable numa (i.e. set numa=off) for all of the kernel entries. A log file is created in /var/log/oracle-validated (although originally it was in /etc/sysconfig) so check the contents. 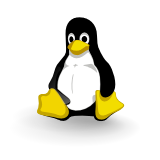 The UEK is based on version 2.6.32 of the Linux kernel, which is only really a couple of hops away from the 2.6.18 kernel used by Red Hat in RHEL5 (and therefore also available in OEL5). Ok so technically it is 32 – 18 = 14 hops away, but the only other Oracle-supported version of Linux I’m aware of that counts is SUSE Linux who had a 2.6.27 kernel for a time. Once you get to Red Hat 6 however, the RHEL kernel is also based on version 2.6.32 and therefore those same features are present. But of course if you are a Red Hat customer you will not find the UEK available from the Red Hat Network, since it is an Oracle product. So if you are a Red Hat customer using the RHN yum channels you now have a problem trying to install the Oracle Preinstall RPM, because of the dependency on the UEK – which is only available from Oracle and which may impact your support from Red Hat (but don’t rely on me for that, check it yourself to be absolutely sure). So if you are a Red Hat customer what do you do now? The dependencies contained in the oracle-validated could be sourced from the RHN yum channels, so everything worked and you were left with an environment ready for the database installation. But what about Oracle-Preinstall with RHEL6? Why the error message? Because of the dependency on the UEK which is only available from Oracle. So if you are going to be using Red Hat, what are the choices? I’m not keen on the first one as I haven’t read all of the small print in my Red Hat support agreement. I’m even less keen on the second one because I am a DBA and therefore inherently lazy… I’d rather spend 10 hours working out how to hack it than 5 hours doing it properly. RPM uses a local database to keep track of which packages are installed. So one simple if unclean option is to tell the RPM database that the UEK is installed even when it isn’t. I have a Linux system running Red Hat 6 Update 3 and have disabled selinux and turned off the iptables firewall. I have also used rhn_register to register the system with the Red Hat Network in order to be able to use Red Hat’s yum servers. It works (despite the warning message) and now the environment is setup ready for the database to be installed. I need to check the new /boot/grub/grub.conf against my copy and of course check the contents of the log file in /var/log/oracle-rdbms-server-11gR2-preinstall but my system is good to go. This method works… but it’s dirty. WARNING: I am offering this example for educational purposes. If you rewrite and recompile any code written by a third party it is your duty to first investigate license agreements and support policies. I’ve created the mockbuild user and switched to that account, then downloaded the source RPM for the latest oracle-preinstall file. If you look at the URL I’ve used above you can see it fetched the RPM for Oracle Linux 6 Update 3 (the “…/OL6/3/…” part of the URL). You may want to change this to match your target update of Red Hat. Now I can log out of the mockbuild account and run yum localinstall (as root) of the newly created RPM. My work is done! And unlike the “hack the RPM database” option I haven’t got a load of broken dependencies hiding somewhere which might cause me trouble later. awesome job, I was building a new RPM from scratch based on the GPL of the Oracle RPM for my RHEL6 machines, and you just made it super easy! This is great- thank you so much for this! Centos 6 is based on Red Hat / Oracle Linux 6. You are attempting to install the package “oracle-validated-1.0.0-5.el5.i386” which is based on Red Hat / Oracle Enterprise Linux 5 (hence the el5 in the name). It won’t work. You need to use an Oracle Preinstall RPM (I don’t even know if one exists for OAS10gR2 but you could potentially try the database one mentioned in this post and see if that works). Also, the architecture of the RPM you are trying to install is i386 which means 32 bit. Make sure this is what you need (if “uname -p” shows x86_64 then you have the wrong package). Thx veru much, it’s fine now. But i need to install setarch-1.6-1 and gnome-libs1.4.1.2.90-44.1 rpm , i want to know how to install those rpm with dependancies (). great post…tiny nit. The wget pulled 1.0-6 from latest but your rpm command installs 1.0-3. If not for this little nit it’s all cut and paste! Thanks! And, yes, that numa=off addition to grub is upsetting. I’m studying the most NUMA of NUMAs I’ve played with recently (2S AMD 6200) so it is 2S each with a glued MCM of Interlagos 8c dies which all presents itself to Linux as a 4 node cluster. I need numa-on. Thanks man – as always you’re keeping me honest. Oh yeah.. good spot. Hmmm. Next time I install a Red Hat system I’ll have to rerun this and update it with a correct screen grab. Oracle’s attitude to NUMA has been outrageously fickle. First it’s on, then it’s off, then it’s on again … and from what I can see it still doesn’t work that well. I hadn’t seen that – hmm, that’s interesting. I guess there are a lot of people out there who need this, so some enterprising soul was always going to oblige. I used this brilliant article to make simple single-click Oracle11gR2 installer for RHEL6.5 with local offline yum repository. I changed original oracle-rdbms-server-11gR2-preinstall-1.0-6.el6.x86_64.rpm, and it works perfect! It published in details at http://www.oraclecommunity.net/profiles/blogs/how-to-make-automated-oracle-11gr2-installer-for-linux-centos-and with reference to this blog. Thank you! I’d hope to say it’s surprising that Oracle – purportedly a vendor of an enterprise linux and thereby quite skilled – still has NO concept of how to use /etc/sysctl.d and /etc/security/limits.d, nor why they’re valuable (or why the latter WILL cause issues if you hack the .conf like an idiot). I have used your recompile method to modify oracle-rdbms-server-11gR2-preinstall-1.0-7.el6.src.rpm for installing on RHEL 6.5, everything looks like a charm, but I found it didn’t modify the system control files including /etc/sysctl.conf and /etc/security/limits.conf etc… did I have some thing wrong ? Thanks in advance. Hmm I’ve never been aware of that problem before. Unfortunately I don’t have a Red Hat test system available right now to test, but from a purely theoretical perspective I can’t think of a reason why you would experience this. Thanks for your reply, I would do a test on OEL 6.5 with this modified package and then update here, thank you! Please advise, it’s seems that “kernel-uek” package not exist for Linux 7.
look carefully, you’re going to install the src iso the rpm u listed. The latest pre-install version for 12.2, oracle-database-server-12cR2-preinstall-1.0-3.el7.x86_64 looks to have changed and requires: oraclelinux-release. Is this a show-stopper for RHEL? I haven’t tested it but I would assume you can just rebuild the package as described but remove the dependency on oraclelinux-release.